NATURE LOVER'S PARADISE! Bird's singing, Coffee brewing as you sit on the elevated screened porch or 40 ft deck overlooking the huge (.68 Acre) wooded fenced back yard! 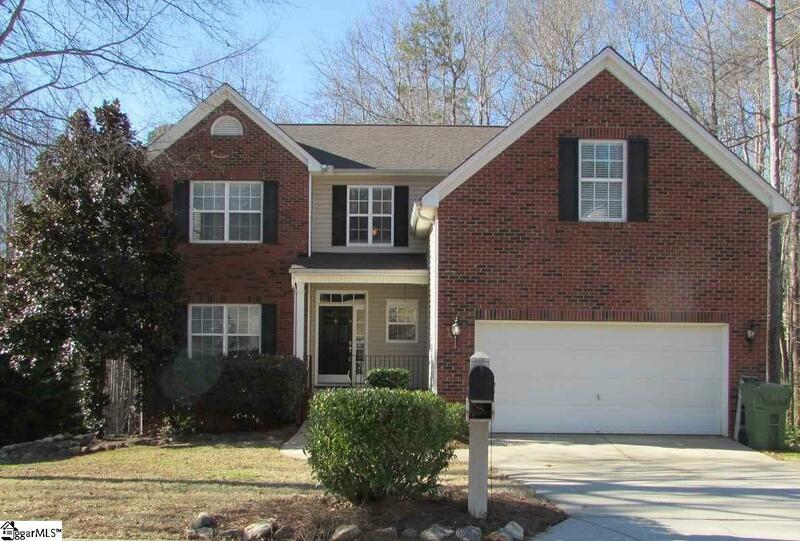 Super nice 4BR/2.5BA PLUS large Bonus Room in Popular Planters Row Pool Community in Mauldin. Top Mauldin Schools, Convenient to I-85, I-385, Downtown Greenville and Woodruff Rd Corridor! Affordably Priced! So many special features including BRAND NEW GORGEOUS GRANITE, BRAND NEW 30 yr ARCHITECTURAL ROOF, Stainless Steel Appliances, Screened Porch, Beautiful Hardwoods in Formal Dining Room, Formal Living Room and Great Room! Upstairs is the super sized 18x13 Master Bedroom with high ceilings plus a huge Master Bath with garden tub, separate shower and double sinks plus a spacious walk in closet. The 18x13 Bonus Room is perfect for a media room, recreation room or exercise room. Life is good when you live in this beauty! Hurry before it's gone! Listing provided courtesy of Gail Mcpherson of South Carolina Realty Associat. © 2019 Greater Greenville Association of Realtors Multiple Listing Service. All rights reserved. IDX information is provided exclusively for consumers' personal, non-commercial use and may not be used for any purpose other than to identify prospective properties consumers may be interested in purchasing. Information is deemed reliable but is not guaranteed accurate by the MLS or J. Michael Manley Team. Data last updated 2019-04-24T13:01:08.787.